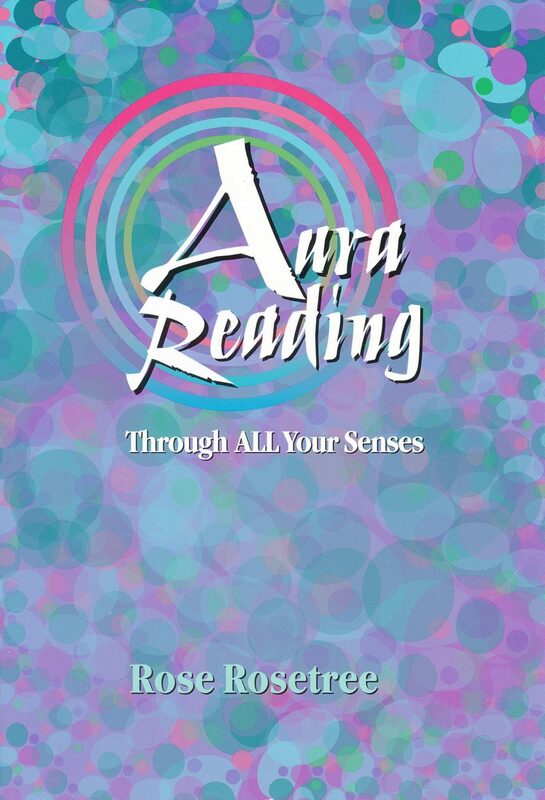 Aura Reading Book Review from Enlightenment Coach DAVID BUCKLAND praises the power and accessibility of Rose Rosetree’s how-to books. This article is cross-posted at DAVID’s blog, in2Deep. I am adding headings, minor copy edits, and a lot of thanks for this perceptive review of my two books on aura reading, as read by a man with a deep, rich background in spiritual development. DAVID paraphrases and reframes what I offer in terms of, what else? DAVID’s own background and ways of thinking about deeper perception. Over the years on this blog Ive talked about refined perception, the koshas or auras, and other aspects of our energetic nature. Recently Ive been talking some about Rose Rosetree and chakra databanks. This is a new and more applied exploration. Ive been reading several of her books. In this article Ill be talking about two of them: Aura Reading Through ALL Your Senses and Read People Deeper. Rose recommended I read Read People first but Id already found Aura Reading at a local bookstore. But her advice was good. Read People Deeper is a better starting point. Even better would be an in-person workshop of hers in the Washington DC area. These are experiential techniques and learning them with others is certainly superior. But if thats not accessible, these books are the best resources Ive found on the subject. Both are what geeks would call recipe books  a little theory but mostly application. How-tos. However, the two books differ greatly in their focus. Read People is more What, Aura Reading more How. And therein lies why Read People should come first. Obviously, Aura Reading is the deepest but it can depend on the circumstance as to which is more suitable. The other techniques can also corroborate subtle perceptions and bring out other nuances. That certainly helps beginning aura readers. But Ill be focusing mostly on auras in this article. 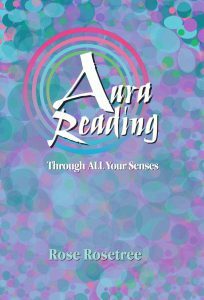 One of the most important ideas to move past for either book is that Reading auras is about being able to see colours. Instead, its reading information via your subtle sense and intuitive modes. That may include colors but often doesnt. While Ive started seeing the chakra databanks, thats not how Ive started reading them. With Read People Deeper, the approach is to go over the simple techniques, then 3/4 of it is 50 things you can read with those techniques. Fifty different chakra databanks you can read, and how to access them. In other words, lots of ways to try it out and develop your skills. What surprised me was how very simple the chakra databank reading techniques were. With the right approach and a few tips, the key became what and where to ask. While you can certainly get lots of general information from an energy read, the detailed info is in specific chakra databanks. You need to address the right chakra with the right question to read a specific chakra databank. Then relevant data just pops in, however you usually gain intuitive information. Now, some people might be a little weirded about reading someone’s Personal information. But this is not about their banking, its about what theyre broadcasting all the time and were reading subconsciously. The shift here is making it more conscious and more skilled. Then were not relating in a sub-conscious reactive mode but rather a conscious, perceptive one. When we understand why a person is behaving as he is, we can relate much more smoothly. Of course, part of the fun is reading yourself. It can be quite insightful, even amusing. Read People Deeper has 3 indexes, one for each type of information you can read: Body Language, Face Reading, Aura Reading. I still have many more of the chakra databanks to try and am looking forward to the discoveries. Blog-Buddies, again, thanks to DAVID for this post. And apology to all of you for the formatting glitches. Technologically this has been an odd day. The blog and website server were down for many hours. After they came back up, I resumed work on formatting this blog post. It’s quite a record. I have spent more than two hours making changes, including html corrections, that simply do not stick. The photo at the top of this post came and disappeared for no reason at least three times, just as one bizarre example. At least the gist is here. Enjoy, intrepid readers! Thanks so much for sharing the article here, whole. I fixed one correction in mine I noticed you made in Clairs. And apologies it was a hassle to move over. I sympathize with the issues around formatting when you migrate from one place to another – even on the same platform. While you can strip all the formatting so you don’t get all the surplus spaces and line breaks, it also takes out all the links, etc. No easy way. I see that I have some more book-buying to do. I was planning to buy those eventually anyway, but now I want to read them sooner rather than later. DAVID and KIRA, thanks for being the first commenters in this aura-style celebration. You have inspired a little follow-up article for today.